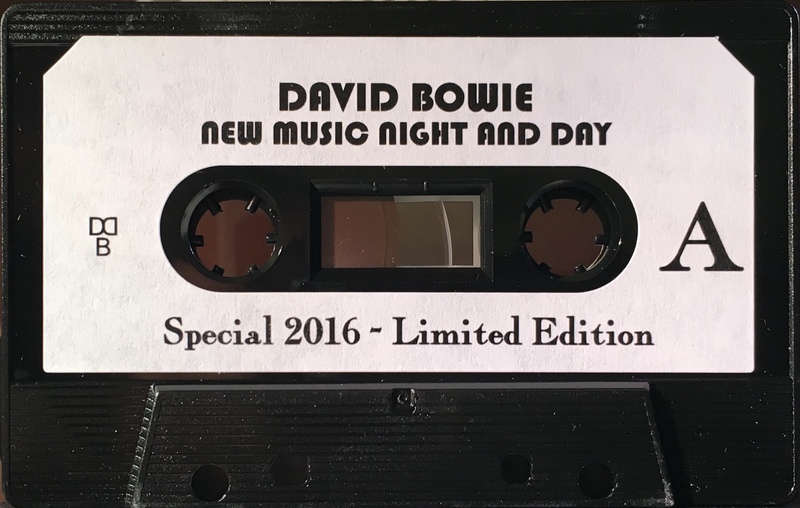 New Music Night And Day: Italy; Blackstar; 2017. 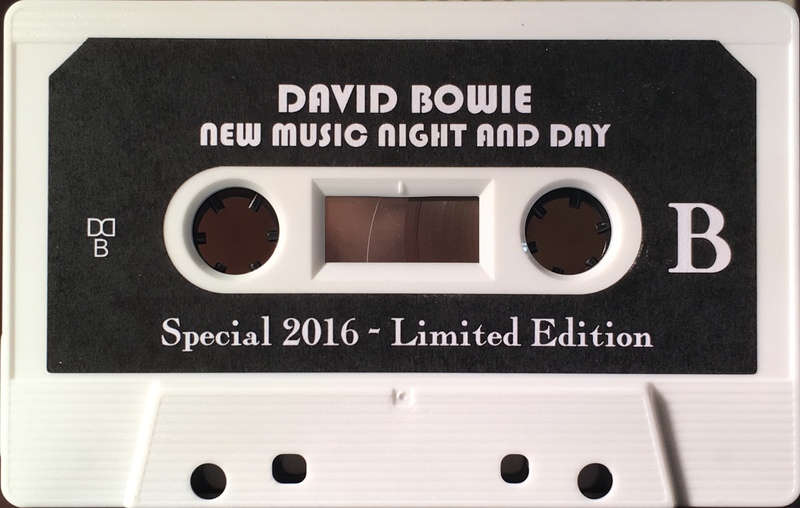 New Music Night And Day commemorative issue from Italy’s Blackstar label for the 40th anniversary of The Man Who Fell To Earth. 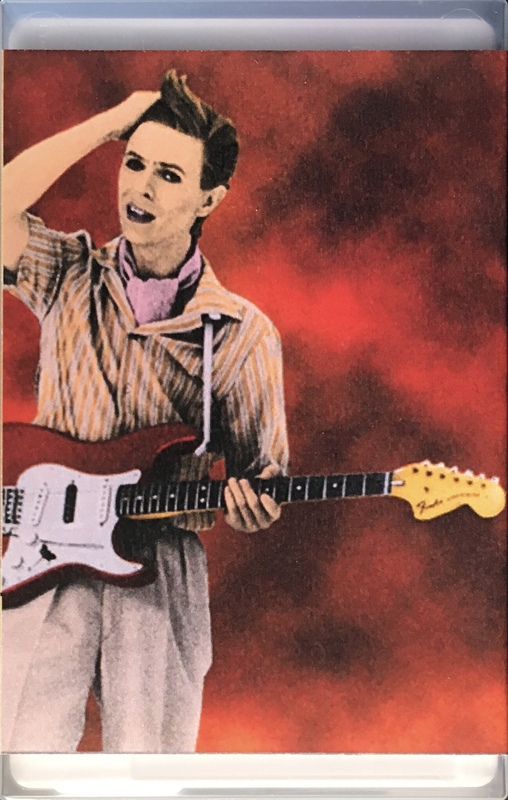 Limited edition cassette only release with full art printed cover; custom labels on custom shell made from one white and one black half shell and picture insert. 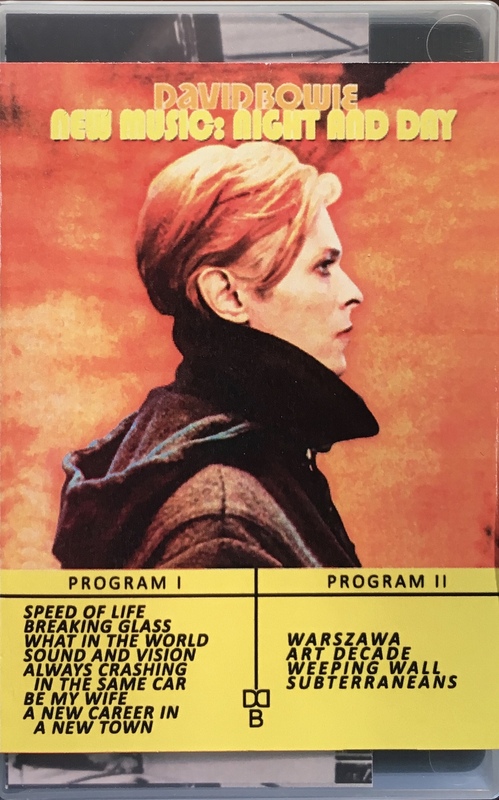 Wraparound label on slim plastic box.